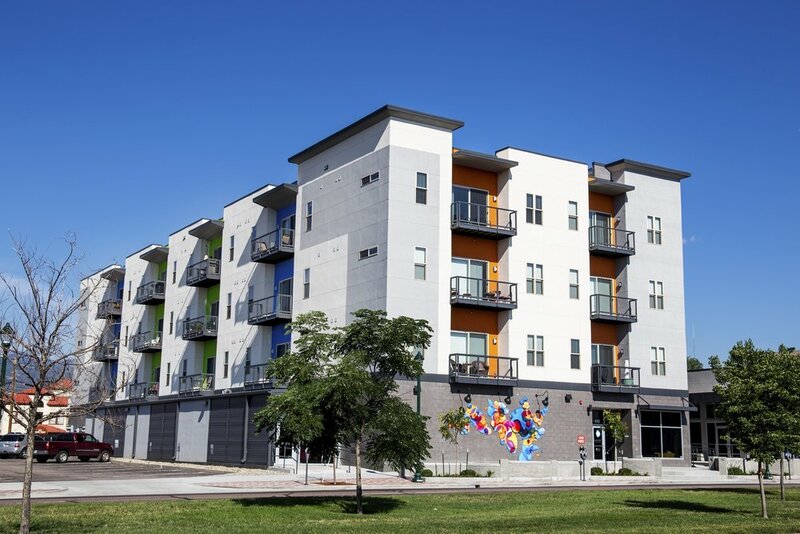 Being the first multi-unit residential building constructed in downtown Colorado Springs since 1960, Blue Dot is being hailed as the leading example of moderately priced urban apartments targeting young professionals and empty-nesters that want to live in the heart of the City. 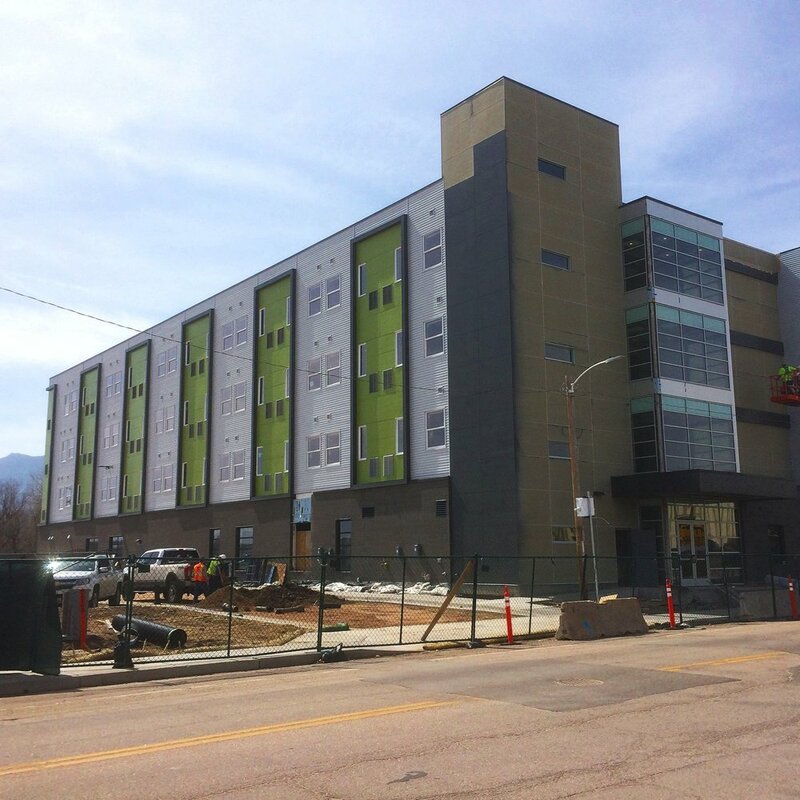 This mixed-use project includes 33 one- and two-bedroom apartments above retail space that houses a local coffee shop and entrepreneurial center. Blue Dot features several amenities that support active lifestyles, including secure indoor bike storage and a bike maintenance room. The project’s central location allows residents to access shops, restaurants, workplaces, parks, and nearby outdoor recreation destinations on foot or by bike. Blue Dot also focuses on energy efficiency. Solar panels cover the building’s roof and provide power for common areas. The energy produced has led to a 30% reduction in energy costs for the building. The exterior design is driven by a desire to provide a contemporary, playful facade that celebrates the balcony spaces by injecting color and large openings at those locations. Natural light was also a key factor in the design of Blue Dot. Expansive windows and higher ceilings at each unit’s balcony allow ample daylight to fell the floor plan emphasizing the kitchen and living room spaces.